Thinking of making a trail map out of map tiles? Tiles cost lots more, as does your time - now compare with our custom maps. There's no wastage when maps are concentrated on an area, trail or park. With RouteBuddy you pay less and get more. We make maps to any size or shape in our MapFactory, saving you storage space and money. 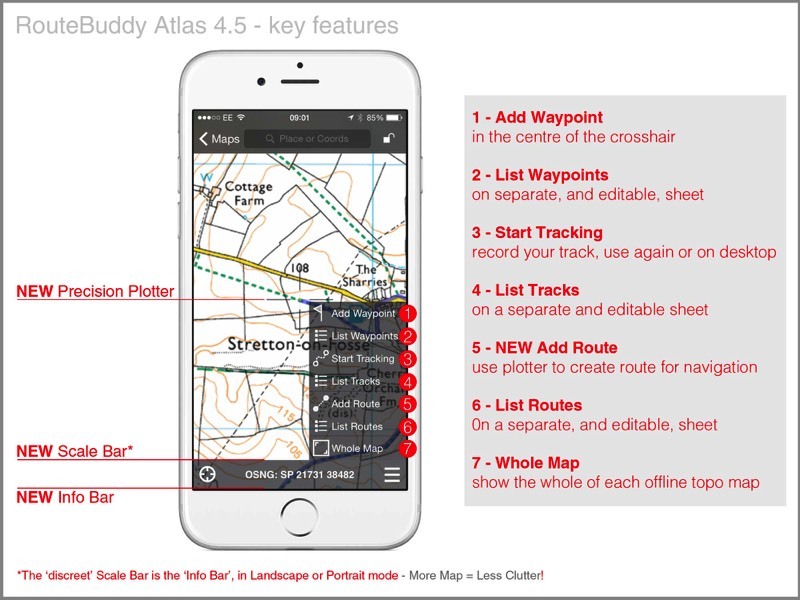 Try our free In-App Demo Maps. For the UK and USA - from USGS, Harvey and Ordnance Survey's cartographers, and in a variety of map scales. From the same regions and cartographers plus… These are the only +TRAILHEAD park maps you'll find, which have added map content to access to public transport and car parks. Check the RouteBuddy Store for our huge range of Custom Maps.